I’m a firm believer in learning about our world by learning about the people who have left their mark on it. The problem is that there are too many people that get overlooked. There are countless scientists, activists, writers, inventors, and dreamers that never get mentioned in a textbook. In second grade, we learn about biographies. Students soak up the information and I can’t keep enough biographies on my shelf. Over the past few years I have made a concerted effort to read books to my students that feature someone they may not hear about anywhere else. As an added bonus, I’ve learned more about these heroes and trailblazers through teaching than I ever did growing up. I want my students to know about these people before I did. Picture books are the perfect way to do that. Through read alouds, it was my hope that students would be inspired and choose to learn more about someone new for their summative project at the end of the unit. I can’t tell you how many Abraham Lincoln presentations I’ve seen over the years. Guess what? It worked. I’m beyond excited that a handful of students chose to expand their knowledge and dive into learning about some of the people featured in the following picture book biographies. The title says it all! 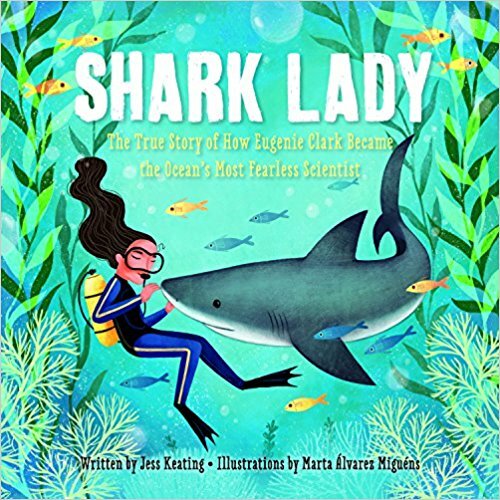 Eugenie Clark dreams of studying sharks in a time when there weren’t many female scientists. She doesn’t let anything stop her from making her dreams come true! 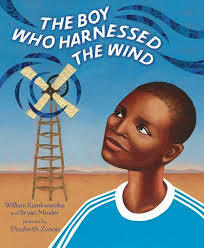 The story of William Kamkwamba and how he built a windmill using recycled scraps in order to bring power and water to his village in Malawi. An amazing story of problem solving, perseverance, and creativity. Holy cow! 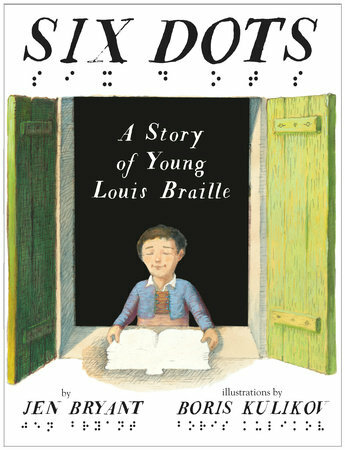 I had no idea that Louis Braille invented his system of reading when he was fifteen years old. Discouraged that his sighted peers could read books and he could not, he set out to create a system that would allow people who are blind to read the same books as anyone else. 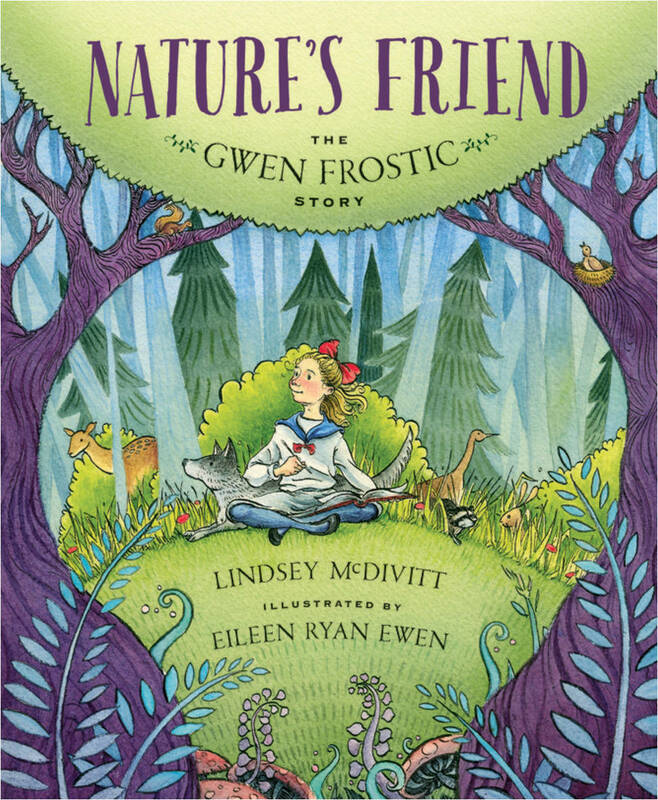 This is the story of artist Gwen Frostic. If you’re a Michigander, you may have heard of her work or traveled to her shop in the woods. Despite having trouble using her hands, Gwen became a respected artist and champion of the natural world. 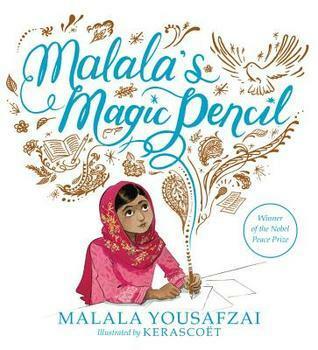 In this autobiography, Malala Yousafzai tells the story of her life in a way that’s relatable to young students. She dreams of having a magic pencil like the character on one of her favorite TV shows. She soon realizes she can change the world using her words. This is a story I’m ashamed I hadn’t heard before. 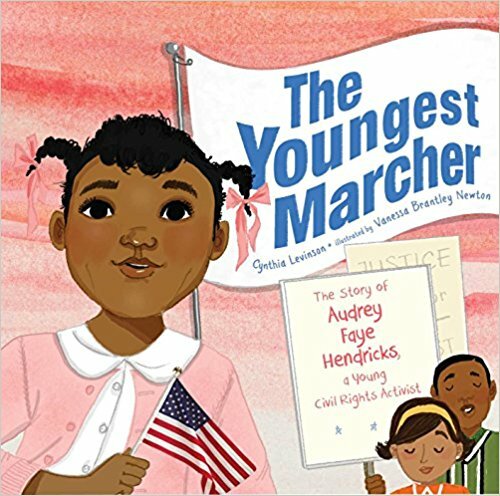 As a nine year-old, Audrey Faye Hendricks was arrested alongside a group of children as part of the Children’s March in Birmingham, Alabama in 1963. These peaceful protests and the arrests that followed, would eventually lead to an agreement to desegregate businesses in the city. 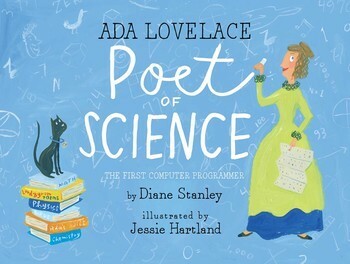 This biography about Ada Lovelace takes us briefly through her young life and tells us the story of how she created the first computer program. 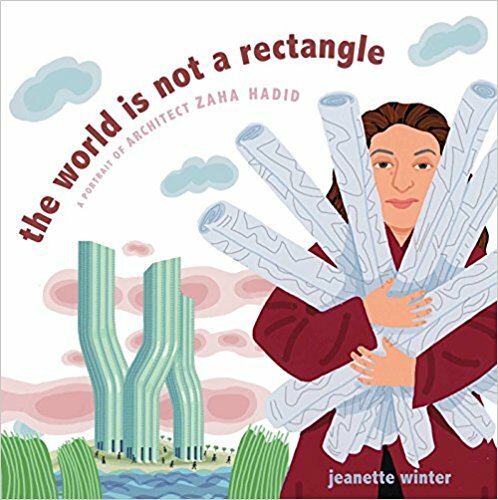 Thanks to her passion for math and science, her creativity and imagination, she saw the possibilities of computer programming 100 years before they came into existence. Zaha Hadid was an architect inspired by the natural world and was known for designing buildings that reflected that. She faced many obstacles as a Muslim woman in a field dominated by men, but she continued on and her buildings can be seen all over the world. 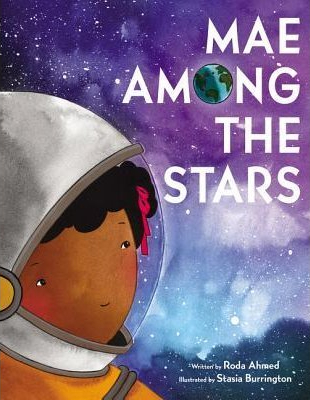 This is an absolutely gorgeous picture book about Mae Jemison, the first African American woman in space. This book tells about Jemison’s childhood and her dreams of being an astronaut. With the encouragement of her parents and her own determination, she achieved her goal. I love the author’s note in the back of the book that highlights all of Jemison’s accomplishments which include becoming an MD, joining the Peace Corps, and being fluent in four languages. I found this Sibert Award winning book in our school library and loved it right away. 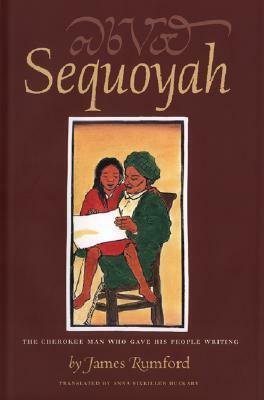 There are beautiful illustrations, and every page is written in English and the Cherokee language that Sequoyah created. Sequoyah began creating a written language for his Cherokee people in 1809 when he worried that the Cherokee language and traditions would disappear as white men continued to take over the land. This book describes his struggles and ultimate success in creating a language that has been passed down in the generations since. Kirsten Leestma is a 2nd Grade teacher in Royal Oak, Michigan. She likes to read, be near the lake, and hang out with her dog named Pigeon. She blogs over at www.thebookhivemi.com and you can find her on twitter @missleestma. Thanks for including SIX DOTS in this wonderful list of recommended titles. You gave me a couple more to add to my own TBR list, too! We loved Six Dots! We have a student in our class this year who uses Braille, so it was absolutely perfect. I love this post! “Picture Books are Perfect” and biography is one of my favorite genres! I agree! And thank you! That sounds fascinating. I will check that book out! Great list! As an author of an upcoming “unknown” bio (Dr. Virginia Apgar in 2020), I’m so happy to see your efforts. What you describe is the exact reason I wanted to bring her story forward. There are so many wonderful people who have changed our lives for the better — in Dr. Apgar’s case, saved millions of lives — and can serve as role models for readers. Thank you! I can’t wait to read your book on Dr. Apgar. I can’t believe how much I’ve learned through picture book biographies. A lovely collection of biographies. Thanks. So true! People inspire me with their accomplishments every day, yet students only learn about a handful of the usual suspects: Lincoln, MLK, Rosa Parks (who are very important, of course). But what about the countless others who have been important yet forgotten by history? Or the amazing trailblazers today? What about the regular people doing amazing things right now who started projects from the ground up or through social media campaigns? Those people could be such an inspiration to kids today to show them that you don’t have to be president to make a difference! You have inspired me to hunt for them and write about them myself.